Fitness / gym business began in the mid- 80s with the opening of the gym D & G (Darko and Goran ). Later on, on my travels through Europe and during my perennial stay in Germany I came into contact with people from the world of fitness business. The most important characteristic of used commercial fitness equipment trade in the outside European countries can be summed up in a simple sentence: „THE PREVALENCE OF OUTDATED, POOR QUALITY EQUIPMENT AT INFLATED PRICES“, meaning that there is actually too big a discrepancy between equipment price and quality in comparison to the European market. There is a simple reason for this and it lies, solely, in the INERTIA of our people and fitness equipment buyers. The solution is to shift to the west and buying equipment from the source, first hand – directly from Western European clubs or from serious German companies engaged in the professional fitness of second-hand equipment. There has always been and there will always be skilled traders or middlemen who will be all to happy to fill this vacuum, a void in the market, and charge dearly other people’s lack of resourcefulness and an inertia. This observation, and subsequent analysis and experience gave birth to a business idea which quickly proved successful. 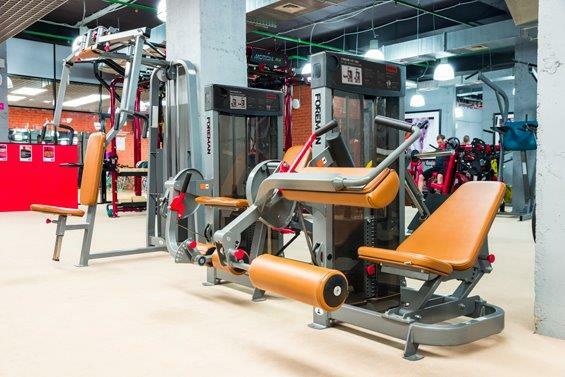 It consists of a making a simple connection between our customer and fitness equipment sellers from the European market. The end result is simple – for substantially less money you get equipment of much higher quality. The equipment is not being disposed of because it is out of order and not intended for further use (but resold here and advertised in superlatives, as in perfect condition with false guarantees), and transported here from Poland or God knows where else. It is bought from fitness clubs in Germany or Switzerland where it being used until the day of loading where it has been maintained and checked by their standards. The date of the transport, when buying directly from the clubs, is fixed and visible date, PAY ATTENTION TO THAT. 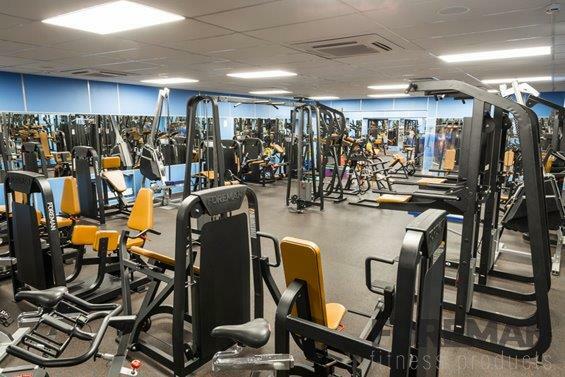 The sale of the equipment is advertised up to a several months before the arrival of the new equipment, and the old one is to be taken out of the gym the day before the new equipment arrives so that the club members can use it without interruption. You have seen or opted for one of our packages, so, what is next and where to go from there? Based on the photos, lists, descriptions and prices, you recognized a bargain offer and decided to purchase. It has to be checked whether the equipment package is still available and for sale because the same equipment is offered and sold, not just on our market, but in several other continents as well. If you recognize a good opportunity – the advice is not to waste time because others want the same as you – a favorable ratio between price and equipment quality and quantity. Another piece of advice based on experience is that you plan to purchase the equipment in time, that is, several months before the opening of your gym because the equipment considered to be optimal solution cannot be obtained at the last minute. Negotiating the deal with the owner of the fitness club that is selling equipment or with the owner of the company that has equipment stored (these are your purchase options: you either buy the equipment directly from the fitness club or from the stocks of fitness machines and equipment in Germany stock the German stock who trade machines for gyms). You check the machines and the equipment and make down payment, then you get all the necessary information about the terms of removal, and removal dates. It sometimes happens, due to various reasons, that people want to buy and actually do buy equipment without looking at it first, which is something I do not recommend, because face to face contact and personal presence is a much better start and it is the safest way to prevent all the possible subsequent misunderstandings and difficulties. And, finally, You are the owner … Good luck! Everything else is simple, invoice, forwarding agent, transportation … and you are the owner of fitness machines and equipment that will become reliable tool which will not burden your very beginning with excessive prices and poor quality. Good luck!